St. Louis has a lot to offer. 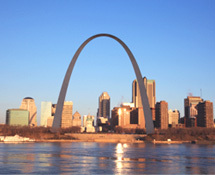 We have highlighted a few links to make your trip to St. Louis easy and fun. Please explore the links below to educate and familiarize yourself with the lodging and transportation options in the Gateway City. We have also included links to some of our favorite St. Louis attractions. St. Louis has plenty of parks, restaurants & museums to explore.